Mel loves the Fontwerks Hey Fellas range of patterned papers, they are so boyish and fun to work with. 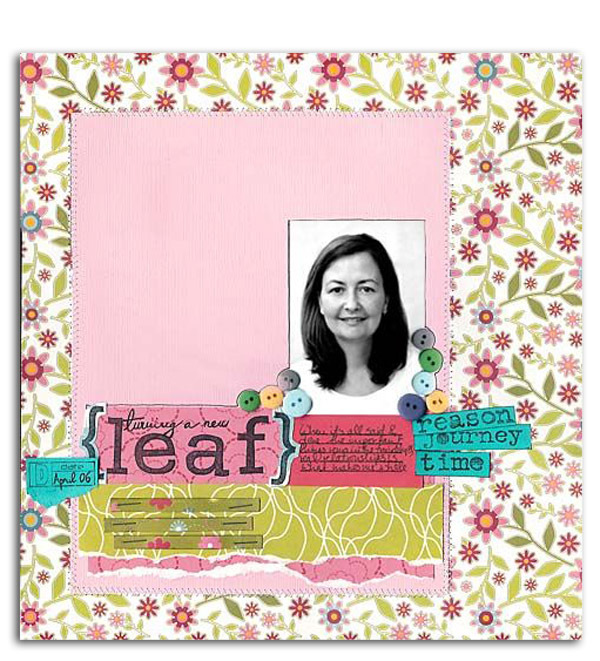 For this layout Mel machine stitched her papers into position and added a splash of Heidi Swapp decorative tape over a chipboard star as a feature on the layout. SEI brads were added down the side, one in each centre of the circles (Hey Adam patterned paper). Summer photos are taking over Nic's desk right now, so when she saw the Tokyo range of papers by Fontwerks, she knew they'd be perfect. The bold colours and fun shapes create an energetic feel to any layout, as shown in this layout about the beach. 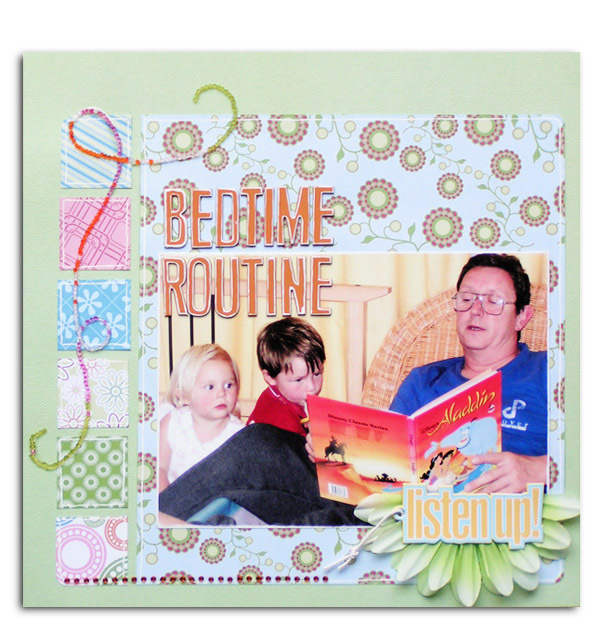 Suz used a mixture of Hey Fellas and Hello Ladies papers in this cute layout celebrating the nightly story reading to her children. She has outlined which square with white pen to give it a visual margin and made a flourish of beads to draw the eye to the photo. With this layout Rach wanted to add all the pretty spring colours to the layout without making the layout busy or distracting to the photo. 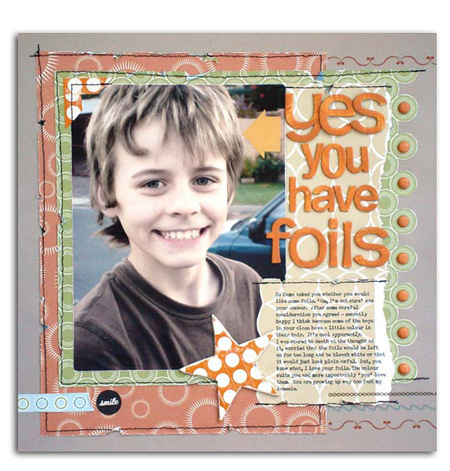 To do this she used her quickutz and a large square die cut to punch squares from the different patterns then arranged them around the clustered photos. Giving gaps around the photos she has avoided creating a boxed in look. 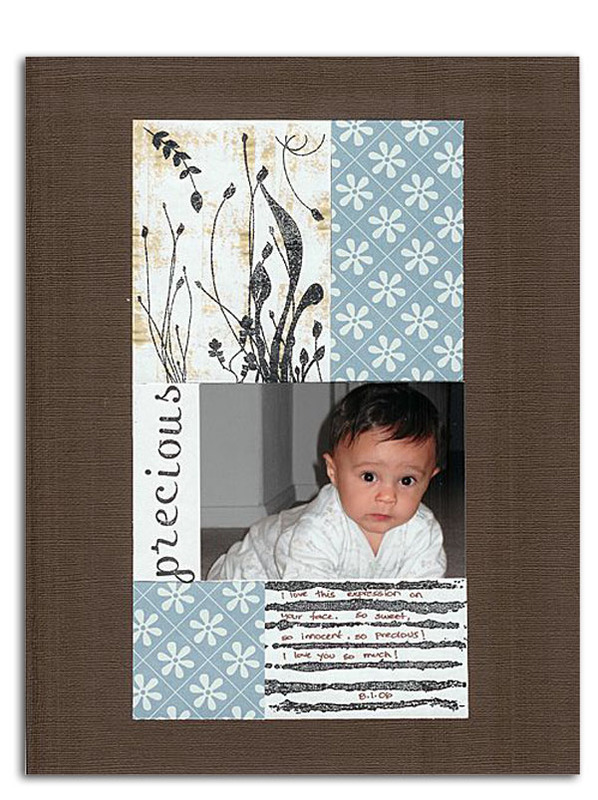 And to finish she added some fun little Basic Grey rub-ons and some journaling. When we were browsing galleries for Fontwerks layouts, this one jumped out. Fontwerks 'simply decorative' paper was used as a base with various other 'Simply Neat' papers completing the look. The perfect simplicty of this layout was what attracted us to this layout at first. A closer look reveals a perfect pairing of Fontwerks papers with Fontwerks stamps. K, Okay? 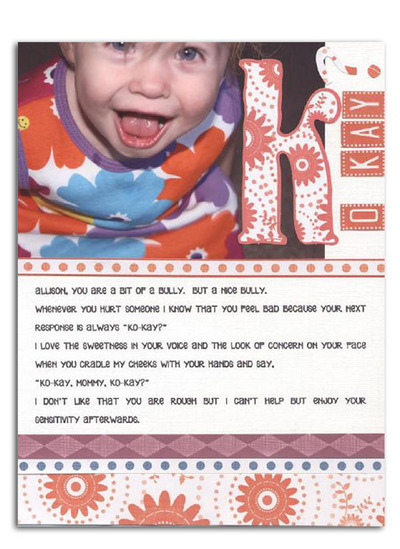 By Leana Lucas of MA, U.S.A.
Who could resist a face like this?! This layout spoke volumes to us as soon as we saw it. We were drawn to the simple yet fun energy in this layout and loved the use of the Fontwerks alphas.